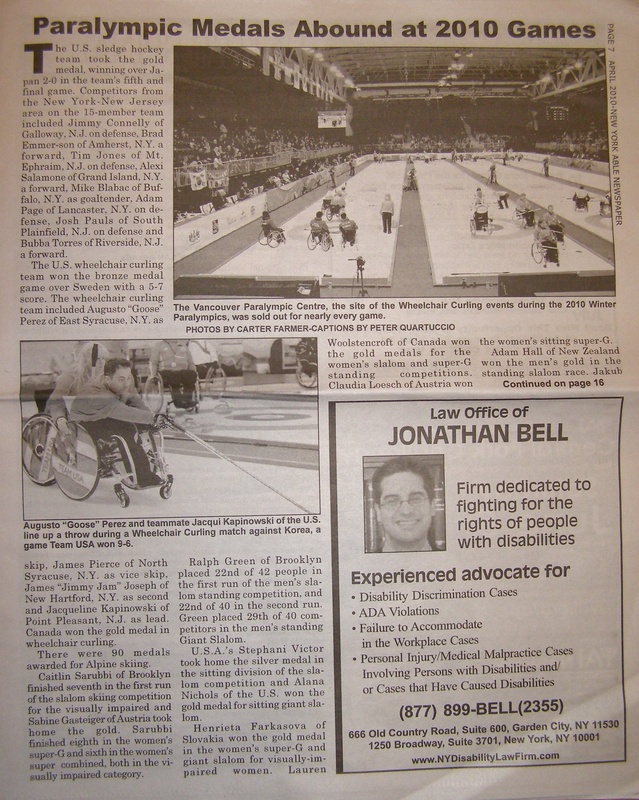 The United States International Council on Disability (USICD) had its annual meeting in April. The USICD is a federation of U.S. non-governmental organizations, federal agencies and individuals that addresses international disability rights issues. It is based in Washington, D.C. Speakers discussed the ratification of the United Nations Convention on the Rights of Persons with Disabilities (CRPD) that President Obama signed in 2009, as well as the inclusion of disability issues in the U.S. international development agenda. Congress has not yet ratified the CRPD. 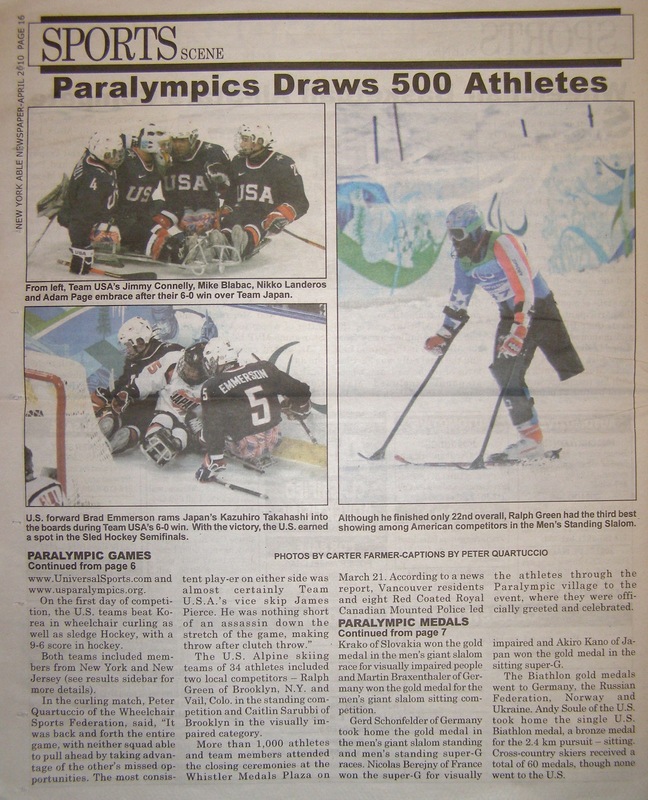 From March 12 to 21, more than 500 athletes with disabilities from all parts of the world took part in the Winter Paralympics Games in Vancouver and Whistler, Canada. John Furlong, chief executive officer of the Vancouver Organizing Committee for this year's games, said in his speed at the opening ceremony, "Let these games also serve to honor and recognize men and women of sport the world over who have made it their personal mission in life to use sport to build better lives, to inspire children, to bring hope and inspire peace - men and women who have dedicated themselves to helping the remarkable athletes gathered here to achieve their dreams." 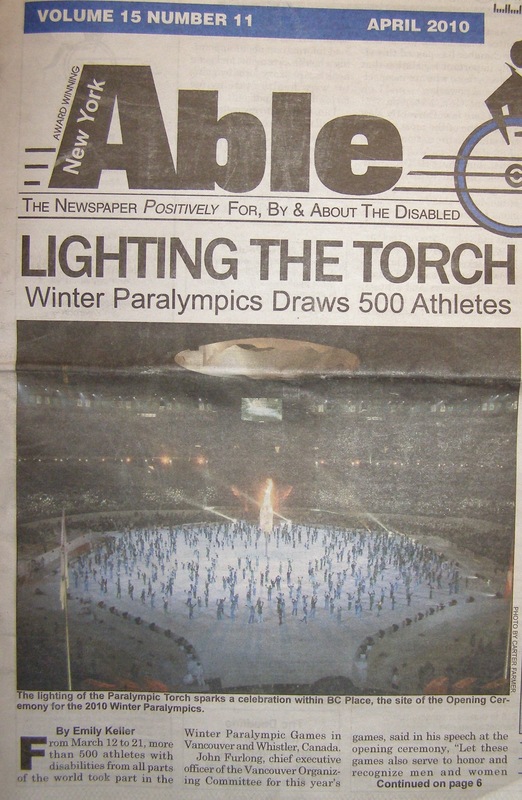 Click here to view the front page. Click here to continue reading about the opening ceremony and here for the results. Click here for the conclusions to the last two stories. Photos by Carter Farmer. National and international organizations that work with amputees are extending their efforts to people in Haiti who were injured in the devastating January earthquake. 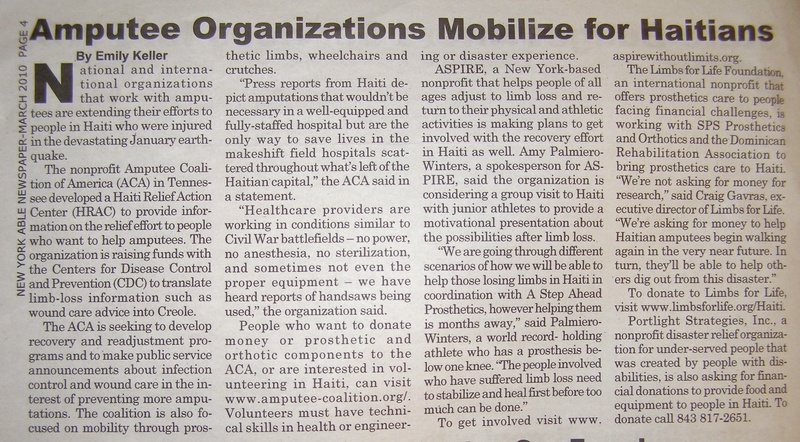 The nonprofit Amputee Coalition of America (ACA) in Tennessee developed a Haiti Relief Action Center (HRAC) to provide information on the relief effort to people who want to help amputees. The organization is raising funds with the Centers for Disease Control and Prevention (CDC) to translate limb-loss information such as wound care advice into Creole. 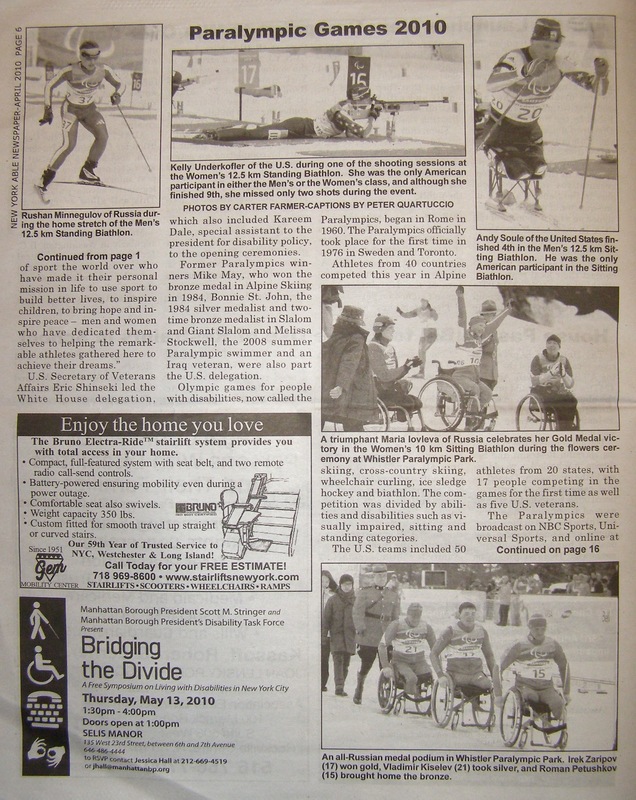 This article was published in Able News. Click here to read the full article.